28 FIRST® FTC® teams competed in the second annual Mid MO FTC® Qualifier in Camdenton, MO! The 2015 FTC® game was RES-Q, and spectators enjoyed multiple exhibitions including 3D printers, the NAO robot, and Mad Science. The event was hosted and sponsored by LASER team 3284 and took place at Camdenton High School. 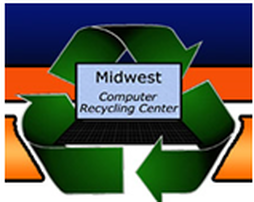 ​LASER was the proud host and sponsor of the third annual Mid MO FLL® Qualifier on November 14, 2015. 32 teams of young engineers competed in the Trash Trek challenge at Camdenton High School and had the opportunity to visit several exhibitions displaying interesting new technology and other progressions of FIRST® ​​. On August 29, 2015 LASER showcased all four progressions of FIRST® ​at the Ozark Mini Maker Faire. LASER students and mentors offered step-by-step guidance to prospective coaches, as well as educators who were interested in starting their own FLL Jr.®, FLL®, FTC®, or FRC® teams in their communities or their schools! In the Lowell Mohler Assembly Hall, on August 16, 2015, LASER 3284 and Team SCREAM, 4532, proudly co-hosted the annual Show Me Robotics competition sponsored by 4-H at the Missouri State Fair. In addition, FLL®, FTC®, and FLL Jr. students showcased their research and models! 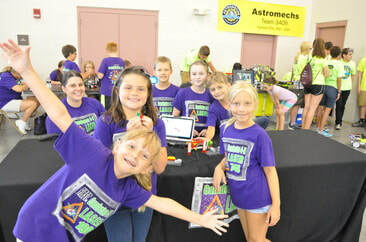 ​On July 27th-30th from 10 AM - 3 PM, children in grades 3rd through 4th were invited to attend a robotics camp in Camdenton, Warrensburg, Versailles, or Nevada, Missouri. Attendees learned about the future of robotics, augmented reality, LEGO® WeDo, EV3 bots, bristle bots, and also experienced story time with a NAO autonomous humanoid robot! ​Robot Rumble is an end of the year celebration that includes a variety of fun activities for 4th-6th graders involving EV3 robots. LASER students showcased all four progressions of FIRST® ​at the event on May 2, 2015 from 9:30 AM to 2:00 PM at Camdenton High School. ​LASER 3284 believes in growing FIRST® ​students from the ground up. We hosted the annual Mid Mo FLL Jr.® Expo. Here, young scientists and engineers share projects and learn the basics of building robots. The event was sponsored, hosted, and ran by LASER 3284 on May 2, 2015 from 1 PM - 3 PM. Camdenton FIRST® LASER team 3284 was the keynote speaker at the 2015 Missouri Department of Elementary & Secondary Education Interface Conference on February 19th and 22nd. LASER students from multiple progressions had the opportunity to introduce FIRST® robotics to hundreds of school districts through presentations and demonstrations!